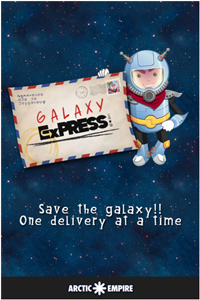 I gained early access to Arctic Empire’s  latest game, Galaxy Express , which has now launched in the iTunes App Store . 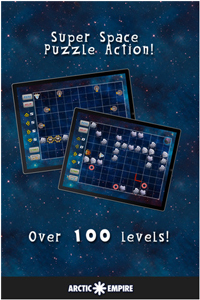 This latest release is a puzzle game that features main character Jonathan Rowe, whose task is to deliver packages to the many planets sprinkled throughout the galaxy. He has a cranky boss named Mr. Bluckerman and a cheeky robotic assistant named Kim-Bot. 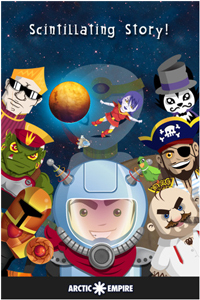 As the game progresses, you are introduced to enemies who are trying to interfere with the smooth flow of courier activities in outer space. First you encounter a former childhood acquaintance who has embraced the pirating way of life – hopefully you are able to successfully fend him off this time, but you know he’ll be back for more, because pirates don’t like to admit defeat, and he’s going to bring friends.